Don’t leave your furry friends at home! Keep your upholstery fresh by covering it to protect it from slobber and hair. This makes clean-up easy when you’re done with the trip. Just remove the covers and use a lint brush to grab any extra hair. Use window covers to keep them from getting scratched or drooled on. Safe, lightly tinted window clings can also be used to keep the cabin a little dimmer, which provides a calming effect for your pet. Give them a space of their own. Make a space in one of the seats or the trunk that is set up for your dog with covers, toys, or even a harness so they can stay safe and feel comfortable. Bring an air freshener and a spray so you can keep odors at a minimum, and have your vehicle cleaned after a longer trip to start fresh every time. Road trips are always better with a companion. The Highlander and RAV4 are ready for them. 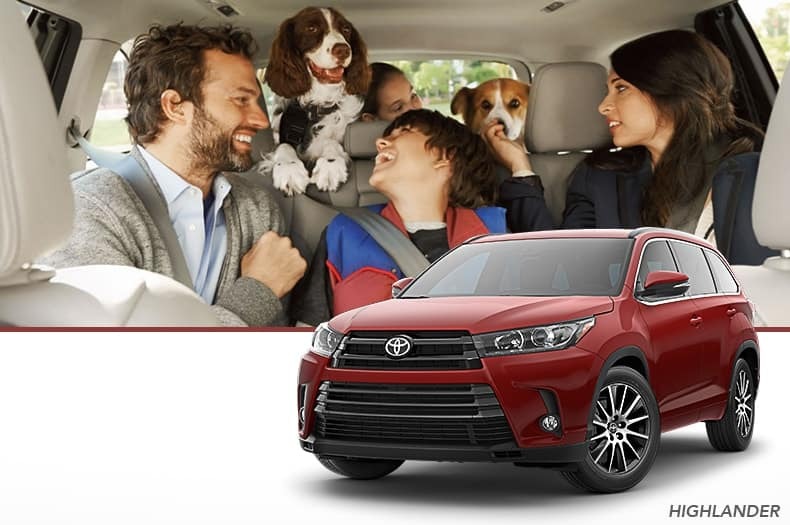 Find your new Toyota Highlander or RAV4 today at Andrew Toyota!